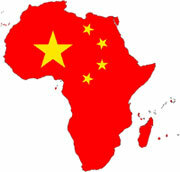 Elizabeth Economy and Karen Monaghan write in the International Herald Tribune (The perils of Beijing’s Africa strategy) that China is quickly creating blowback in Africa despite its purportedly “hands off politics” approach. You would be hard-pressed to design a more anti-BOP strategy than much of what China is doing – obsessively chasing resources for China’s own benefit, without regard for the environment or the interests of local populations; bringing in its own workforce so little money even reaches the citizens of the country where they are operating. China clearly needs some fast education on sustainability and corporate responsibility. Chinese leaders, we’re an NGO….and we’re here to help.